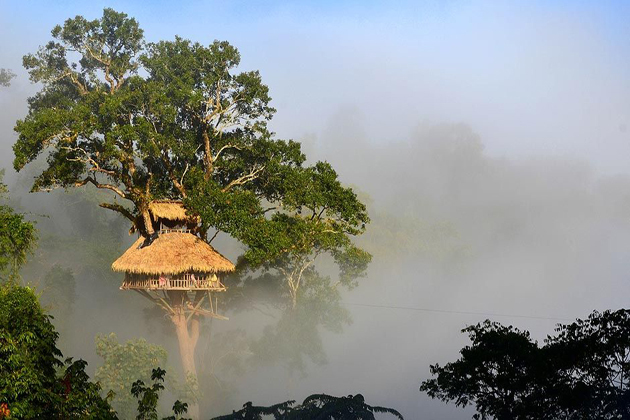 Huay Xai is an ideal destination for you during the Laos tours. 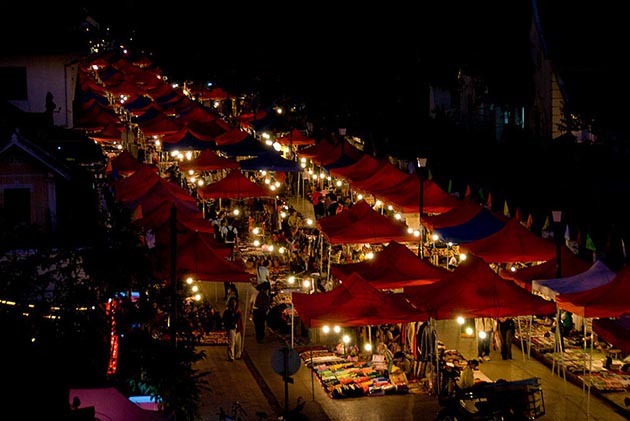 It is an important reason for people to go through Huay Xai, as this is one of the main activities offered in this town. From here, you can easily take a boat to Luang Prabang. 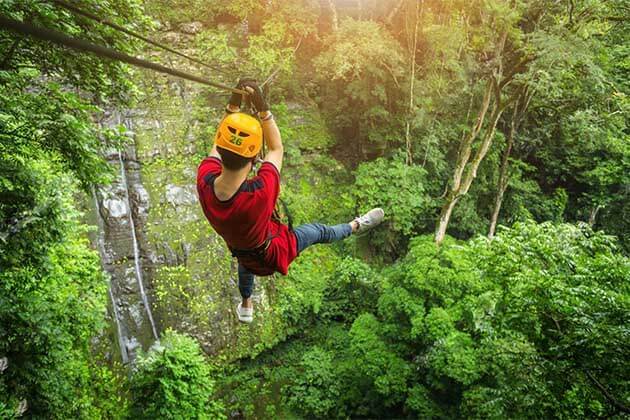 Here is the list of the top 15 attractions and activities you can explore at Huay Xai. 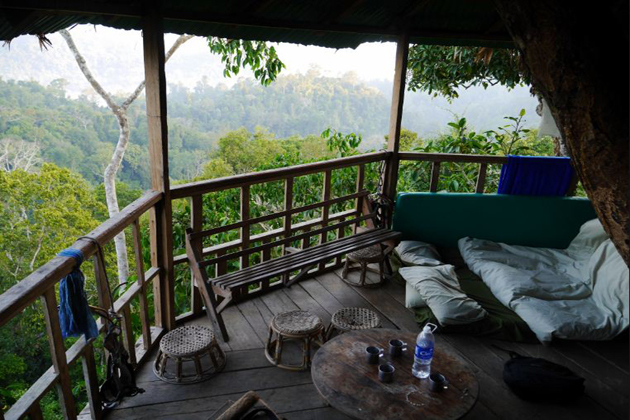 People come to Huay Xai with the intention of going to the Gibbon experience in Bokeo National Park. 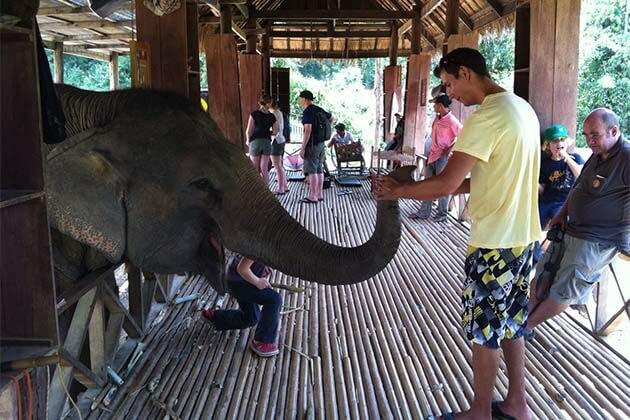 You can book tickets for the experience at Huay Xai and then you will need to travel almost four hours to one of the villages on the outskirts of the park. From there, you will need to walk into Bokeo National Park and there you can stay in the beautiful trees, instead of a guest house, which sits high on the tree at an altitude of about 40 meters. The main market in Huay Xai is also called Morning Market. As the name suggests, you need to come here as early as possible in the morning to experience the most exciting market and you will find a large number of products offered here. If you arrive early, you can even find sellers from neighboring villages to ethnic handicrafts, as well as fruit, vegetables, and textiles. 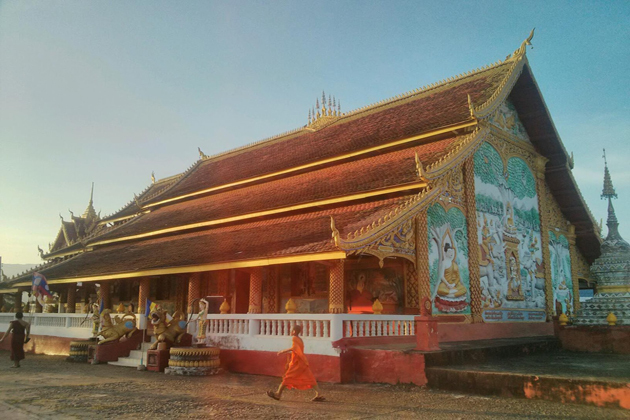 Wat Keophone Savanthanaram is the most known temple with murals depicting scenes of violent action. If you want to see, you can watch them along the walls of the hall, or you can walk around the area. If you go up the hill behind the temple, you will see a huge Buddha statue. Perhaps the most famous restaurant in Huay Xai is called Daauw Home and is located on a terrace overlooking the beautiful Mekong River. This restaurant was built to support the local ethnic communities in Laos, and you can come here and have dinner or shopping at the Women’s Empowered Shop on the spot. They also have cooking classes so you can come here to try some local dishes. Fort Carnot is a large fort originally built during the French colonial period at Huay Xai. 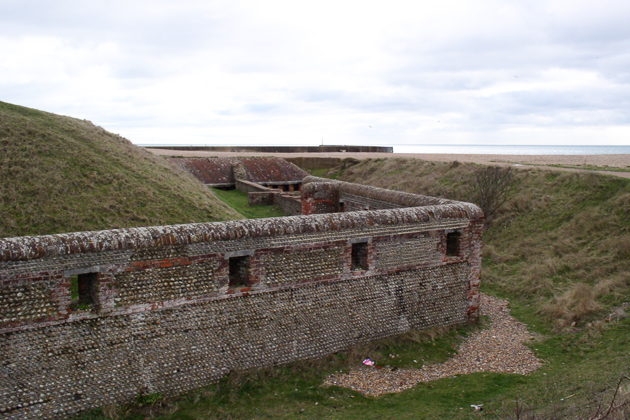 It is located on a beautiful hillside near Bokeo’s main office and you will find two large towers placed here that are the main part of the fortress remaining. In recent years the fortress has fallen into disrepair and closed down although it has reopened and is cleaned up a bit which makes it a worthwhile stop on a tour of Huay Xai. Huay Xai is not really big enough to have much of a nightlife but if you want to get a drink in the evening then you need to go to the waterfront. Here you will find some restaurants and cafes serving delicious as Lao’s local beer. 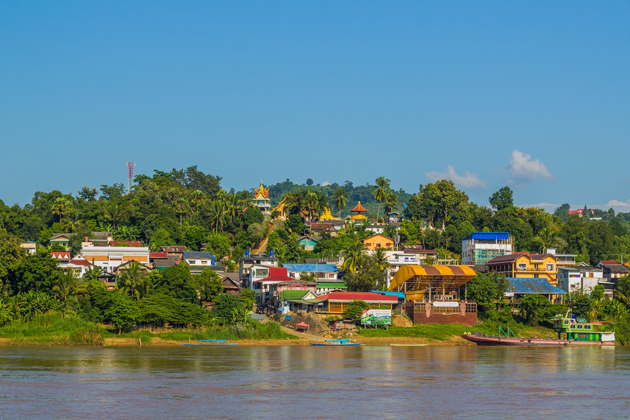 As you might expect, one of the favorite activities in town is to have a Sunday while watching the sunset on the Mekong so try to plan your trip accordingly. If you want to experience great outdoor activities around town, try to new challenge discovery. The purpose of this trip is to be able to travel around Bokeo Province during day trips so you can enjoy the lush scenery or this famous part of Laos. This trip only some trips you can go to include cycling, rock climbing, and kayaking, and all the money from the tours is used to support the children in the local community and contributing to education. Wat Thadsuvanna Phakham is located near the expressway at Huay Xai and is also one of the newest temples in the town. The main feature of the temple is the carved Buddha statue covered with gold leaf and carved in meditation posture. There are eight Buddha statues to admire here, and you can also see the Mekong River from the temple. 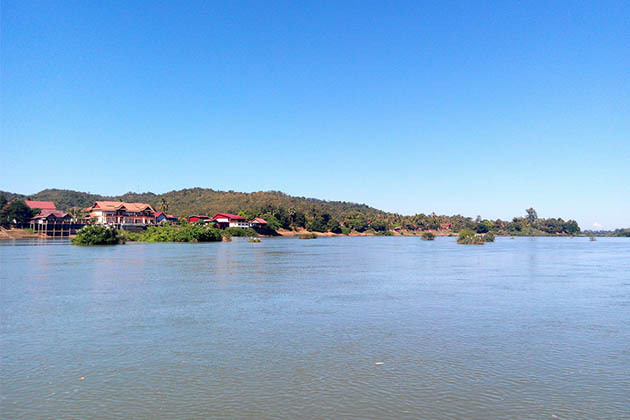 The reason people come to Huay Xai from the beginning is to have a chance to enjoy the scenic cruise along the mighty Mekong River. With that in mind, there are a number of different boats you can take, such as a slow cruise, which takes about two days to get to Luang Prabang via Pak Beng. If you want a more relaxed option, and you have a larger budget, then you can opt for a cruise. 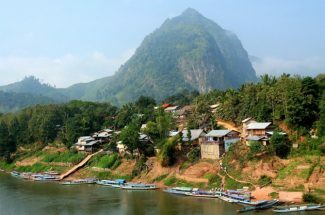 They have enough boats and boat shelters and also stop on the way to Luang Prabang to allow you to join the sights including the famous ethnic communities in the Khmu and Hmong villages as well as the Pak Ou Cave. If you want a quick trip to Luang Prabang, you can also travel by speedboat. If you want to get off the center of Huay Xai then you can visit Daauw Village. Here you will find ethnic communities that have lived and worked here for centuries and this is the best place to go if you want to explore a traditional way of life in Laos. When you visit the village, you can learn about local Lao food and even cook some of these dishes through open fire. If you like there are also some workshops for you to try to do some traditional crafts that villages around the famous Huay Xai. Laos is known for its barbecue but many of these are in the form of pork or chicken. 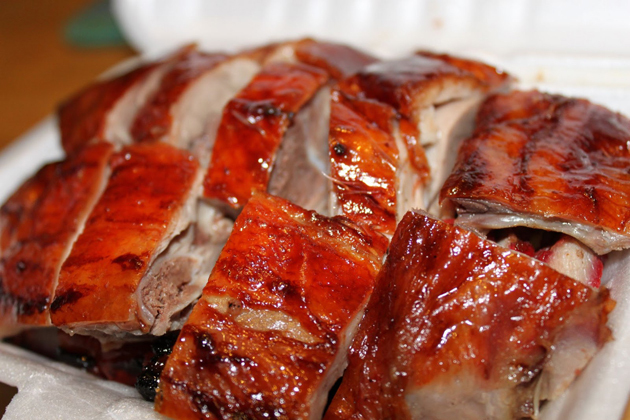 For something a little different, you may want to look out for Khongvab Duck BBQ where you can try some succulent duck that has been baked on hot coal. Laos is famous for its saunas which often use local herbs to make guests feel relaxed and youthful. One of the most famous places in Huay Xai is offered gentle massages as well as the opportunity to soak in the herbal steam room. To end the experience, you can also try a variety of local herbal teas. If Lao beer is not your favorite drink, you can try other local drinks. 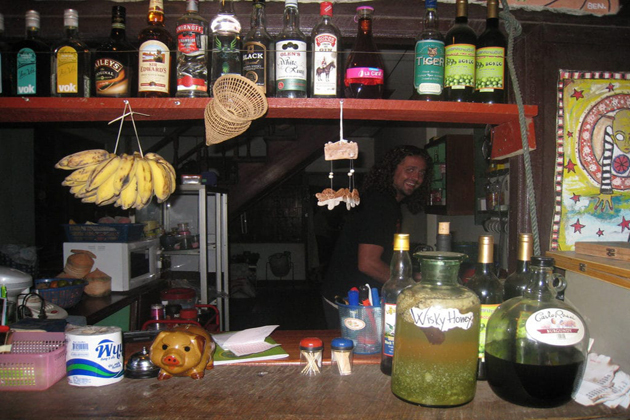 In Laos, a low-grade rice wine is called low -low and this can be found in some bars on Huay Xai. This is considered to be a traditional Lao spirit. A good place to try low- low is at Bar. Enjoy the various beverages that are mixed together like rice wine mixed with local fruits such as canvas or blueberries. If you want something to combine with wine then they also serve food including local and international fare. Wat Khonekeo Xaiyaram is a temple that is known for its magnificent decor, and you will recognize it immediately when you approach it. The front of the temple is covered in beautifully carved red, green, and yellow pillars, and some of the doors are decorated intricately to the main room. If you do not want to try it at Huay Xai, then you may visit one of the restaurants in town cooked with unusual ingredients. One of the most famous of these is called Tavendeng Restaurant and is housed in a spacious wooden building, which also has a stage for musical performances every night. 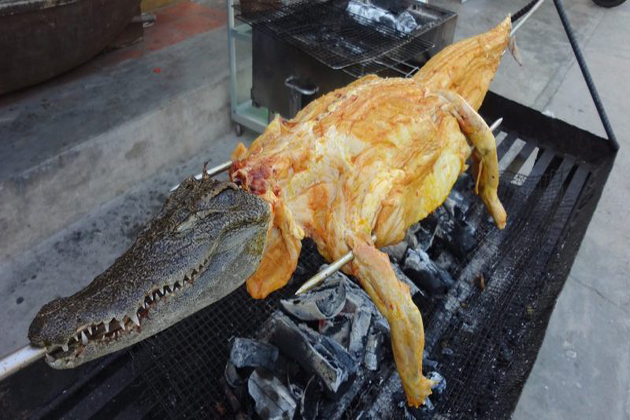 The restaurant is famous about the ingredients such as fried crocodiles and baked frogs. 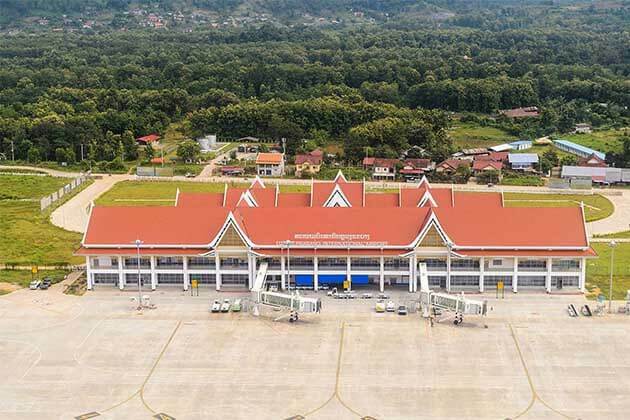 By air: From Vientiane, you can fly to Huay Xai on Tuesdays, Thursdays, and Saturdays. By boat: You can take the bus from Luang Namtha at 09:30 to be taken out two kilometers from the town of Huay Xai at 14:30 in the afternoon. Then, you can take the tuk-tuk to the border of Huay Xai or to a specific guest house or hostel as directed. Remember, avoid buying bus tickets that can take them to Luang Prabang, which is the preferred destination from Huay Xai. However, these tickets are extremely expensive. At the bus stop, you can find the same ticket for half the price. Most foreigners who do not know the system are forced to believe that these tickets are hard to find and are sold out. The ideal thing to do at Huay Xai is to rent a tuk-tuk during the day and buy bus tickets at the bus station.